András Kállay-Saunders, the winner of our A Dal 2014 poll, has proven our readers right. The “Running” singer moved Hungarian audiences and the professional jury with his song about overcoming child abuse, and will now sing for Budapest in Copenhagen! Ahead of the final he told our Hungarian correspondent Judit Sebok that he wasn’t worried his song would stir controversy. “Not all music has to be about love,” he said. “My song may not be the most pleasant topic, but we must face the truth. It happens everywhere in the world everyday.” Bogi, Fool Moon and Viktor Király also advanced to the “super final” against Kállay-Saunders. She calls for help but no one seems to care. I hated this song. I don’t think that songs about abuse fit in Eurovision. I can’t understand that it came so high in the competition. Great song and an amazing performer! The topic is sad but the music the beat the words (i see angels on her side) gives you hope! Hope for a win as well! You are the winner! 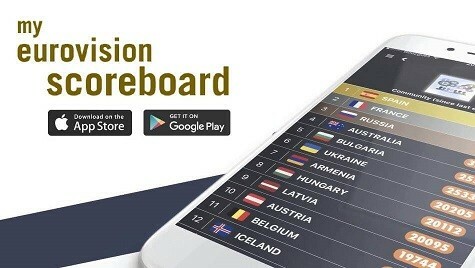 12 points from Lithuania! 12 points from Romania! Good job, Hungary! Excellent song this year too! Love this song!!! Good luck Hungary! 12 points from Ukraine. This song was 20-1 a week ago. Now it is 8-1. Carl Espen cannot sing live …Norway is in a mess……HUNGARY to win!! I like this song. I think he should win… and second Spain 😉 That would be great! This is a great song and it should do very well, in my opinion. But then again, I loved Compact Disco and it didn’t turn out so well for them… Who knows?! Love this choice! A commendable job on addressing a serious issue. Hope it does well in the contest. Great choice again, Hungary! Kati and Compact Disco were in my top 10 in 2011 and 2012, and ByeAlex was somewhere in the middle last year, but when we have all 37 songs, Andras and Hungary will be in my top 10, no doubt. Hungary had quite much good entries this year, five out of eight caught my attention. This song was amongst them. Although it’s a bit sad tune, it sounds modern and is pushing forward (like an escape from your bad sides of life). refrain for example. Good choice, hungary! This is the first Hungarian entry that I actually liked, in fact my top favorite right now. Well done! I like the song. Top 5! Seriously the first song from us ever that I’m completely impressed by. I did like Kedvesem a lot last year, but Saunders can actually perform it well live as opposed to ByeAlex (he’s more of a shut-in type of guy, nothing wrong with that but Saunder’s energy looks better onstage). If the voting wasn’t so biased I would say this actually has a chance to get into the top 5. But yeah nah. Still, this is my favourite so far alongside with Finland and Spain. @Dhani Pls just shut up, you’re always have bad comments under posts. This was a good choice, he’s really good and he could win, I just really hate your attitude. This is so good! Attempting serious lyrics can be a Eurovision curse, but this song overcomes that by having a solid and highly danceable tune behind it. I can’t wait to see this on the big stage! My current top 3: Hungary, Belarus and Switzerland. I think Hungary has a better chance in making it to the Top 5!!! Best of Luck Hungary!!! Thank you, Magyarország! A Dal 2014 was off the wall this year, one of hte most quality years I’ve ever seen for Hungary, in a year where tried and true NFs (coughmelfestcough) have been major letdowns. I was pretty happy with almost every A Dal song this year, and the top 4 in the super final were all great. In the end, Andras Kallay-Saunders had the best vocals and the great song. Third time’s a charm for him! Budapest 2015? Stunning song! A beautiful heartbreaking theme that invites us all to think (only cynicals will ignore this) … and still a contemporary modern r&b sound mingled with dubstep. We don’t get this kind of combination in Eurovision that often. Well done! One of my favourites. Great show tonight Hungary. If the ESC final is as deep as A DAL 2014 then it I’d be happy. There were about five out of the eight that I would have been happy with. Don’t know if I like this more than “Kedvesem”, but I do like it. Although not the best choice in my opinion, a good one. Hungary will definitely be scoring will this year. Nice to see a song about a serious subject like this appear in the modern pop genre and representing Hungary. Hungary is quite likely to return to the top 10 this year, if not jump into the top 5. Another song to add to those I fully support, right next to Italy and Switzerland.